The center piece of your bedroom should grab the attention of the whole room. 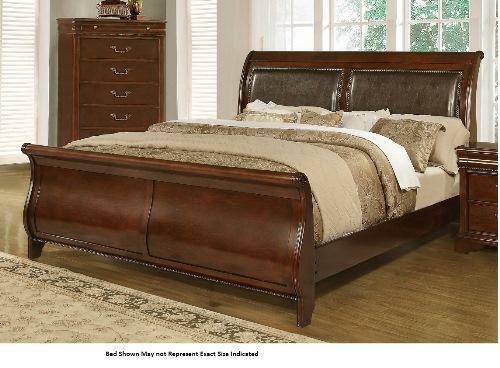 This king sleigh bed not only grabs the attention of the room but holds it with its unique, traditional style. The 4116A- Misk Queen Sleigh Bed by Lifestyle at Miskelly Furniture in the Jackson, Pearl, Madison, Ridgeland, Flowood Mississippi area. Product availability may vary. Contact us for the most current availability on this product.